Show off your PC build with the Crystal Series 280X Tempered Glass Micro ATX PC Case from Corsair. 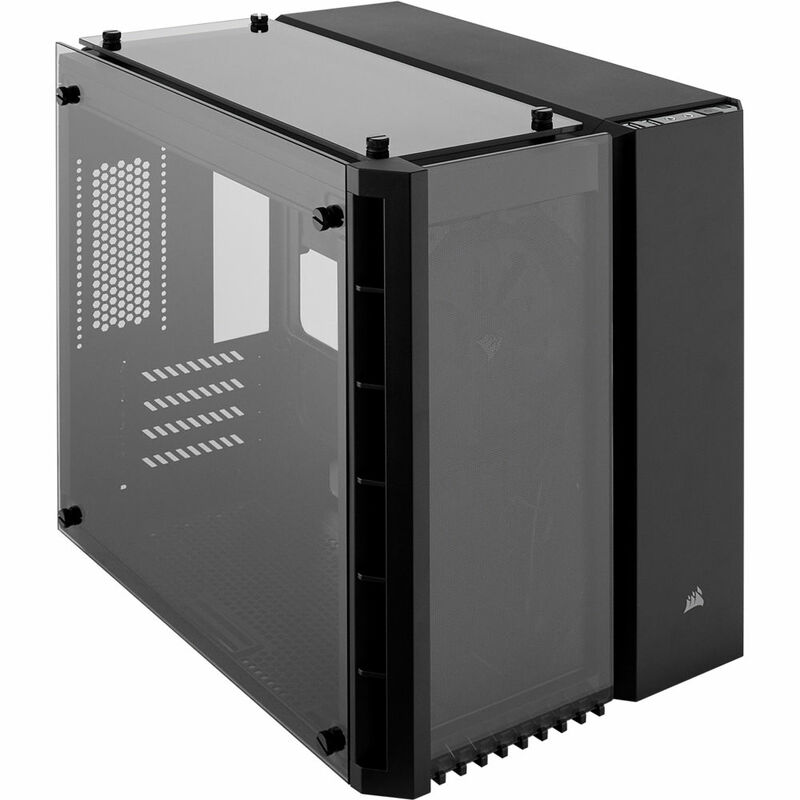 Compatible with Micro-ATX and Mini-ATX motherboards, this black steel case features three tempered-glass panels, ideal for showcasing your components, as well as two 3.5" drive bays and three 2.5" bays. Two 120mm cooling fans are included, and radiators can be installed in the front, top, and bottom of the case. A dedicated rear chamber offers room for cables, drives, and the PSU, handy for optimizing cable management while highlighting your core PC components. Three tempered-glass panels are ideal for showcasing your PC build. Highlight your PC's core components while tucking cables, drives, and the PSU in a dedicated rear chamber. A dedicated storage compartment for up to two 3.5" drives and three 2.5" drives helps to keep your system clean without sacrificing storage capacity. Front, top, bottom, and PSU dust filters help to keep your system looking great long after your build is finished. Among the Corsair liquid coolers that are compatible with the Crystal Series 208X are the H55, H60, H75, H80i, H90, H100i, H105, H110i, and H115i. Box Dimensions (LxWxH) 19.0 x 16.9 x 14.9"